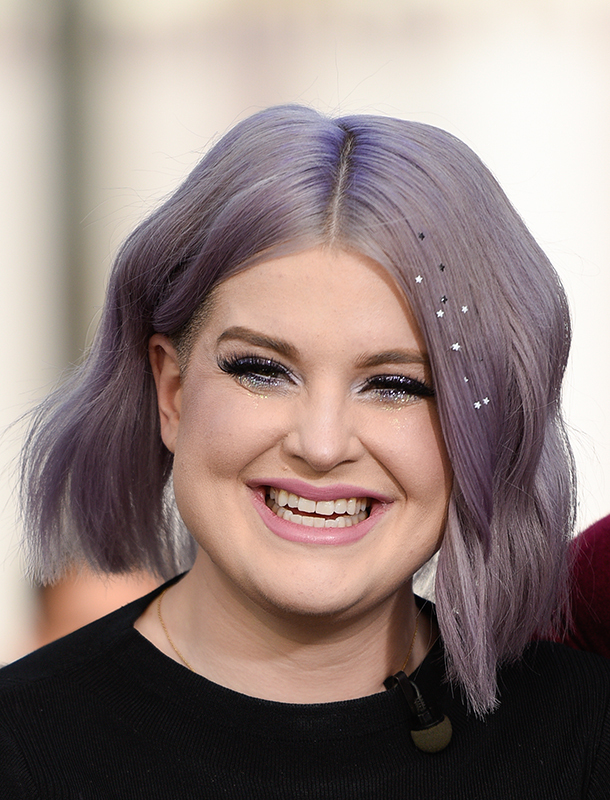 Thanks to Kelly Osbourne, you have yet another valid reason to jump on the Hollywood hair accessory bandwagon. The celebrity was spotted on the set of “Extra” wearing tiny metallic silver star hair accessories perfectly placed in her wavy bob as well as glittery silver eyeshadow, of course. Matchy-matchy, but it worked. She kept the entire look balanced by only applying them conservatively to the front of her bob on one side. And wearing her hair in loose waves made the metallic accessories less “New Year’s Eve” and more day-time appropriate. Over the past few months, we’ve seen everyone from Elizabeth Banks to Oscar-nominee Saoirse Ronan debuting hair accessories on the red carpet, and it’s about time! Nothing spices up a regular ole’ hair look faster (and honestly, easier) than a headband, barrette, a pin, or even mini stars. Although we’re not sure of the exact products used in Kelly’s hair, they look like those metallic hair tattoos we saw skyrocket to popularity (thanks to Kylie Jenner) this summer. Before you go experimenting with glue and sequins (not a good idea), we suggest bringing this pic to your stylist and asking for recommendations on how to achieve it at home without ruining your locks.